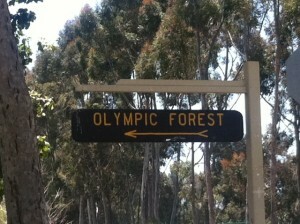 Whenever I take a Baldwin Hills hike I’m reminded that the city of Los Angeles twice hosted the Olympic games. One favorite Baldwin Hills hike is in Kenneth Hahn State Recreation Area. 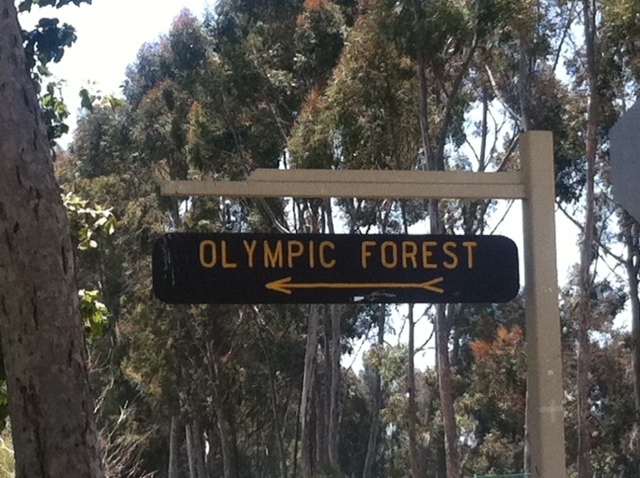 On my last visit I began hiking near the park’s Olympic Forest. When planted the forest included at least one tree for each of the 140 nations that participated in the 1984 Olympic Games. Adding to the international flavor is Doris’s Japanese Garden, also located near the trailhead. I enjoyed a stroll past a restful pond and plum trees to a waterfall. I hiked the Walk for Health Trail. Every park should have one trail so named. Never mind, every hike is a walk for health. As I ascended the dirt path south above the Olympic Forest, I contemplated the paper mulberry from Tonga, the carob from Cyprus, the date palm from Egypt. Wouldn’t it be fun to be hiking along with Tongans, Cypriots, Egyptians and others from around the world? Los Angeles also hosted the Olympics in 1932, at which time the Baldwin Hills park site served as the Olympic Village hosting the athletes. 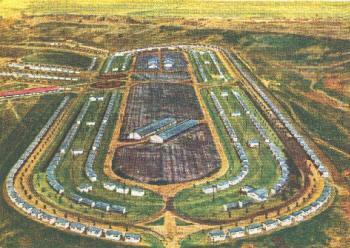 Wow, L.A. sure must have looked different then. The trail climbs a hillside cloaked in the native coastal scrub to a cluster of pathways meeting close to Christine’s Point, the first of several viewpoints with benches and sunshades. I took a seat and enjoyed an air traffic controller’s view of LAX. Ah, this is what a Baldwin Hills hike is all about. Then I stood up, turned around, and admired clear-day vistas of the Hollywood Hills, San Gabriel Mountains and downtown L.A. 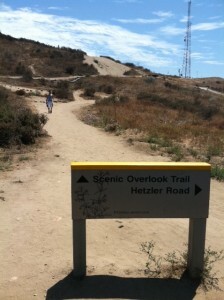 Hike the Baldwin Hills for great views of L.A. Hiking may not be an Olympic event, but it sure is a satisfying workout, the best of outdoors recreation and as the signs along the Walk for Health Trail point out—good for the mind, body and spirit.